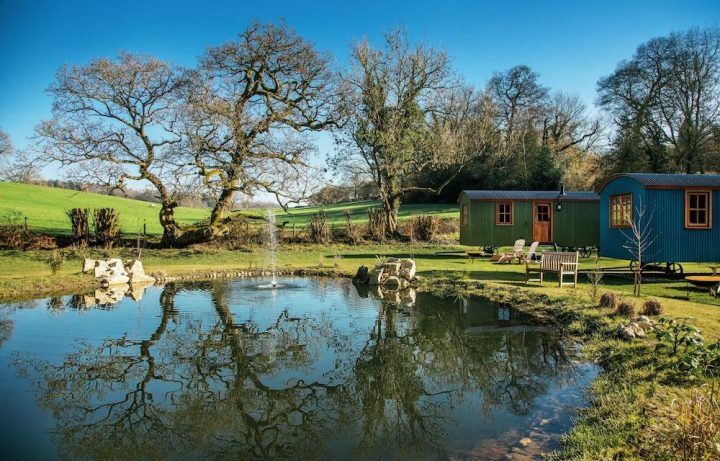 Superbly styled, this 200-year-old barn in Ripley is perfect for a romantic or relaxing break. 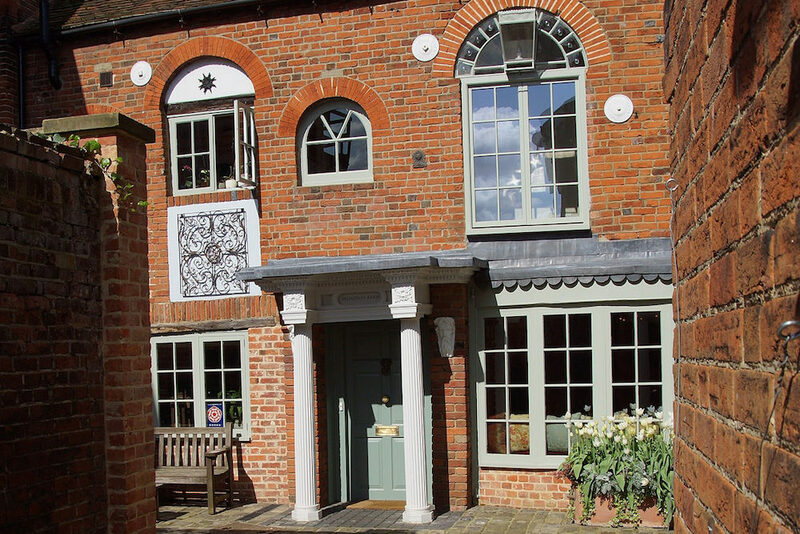 If there was beautiful Surrey village that ticked all the boxes, then it must surely be Ripley – and you’ll find the 200-year-old Broadway Barn smack bang in the middle of the village. Walk the 15 or so steps along the cobbled entrance to Broadway Barn in Ripley’s High Street, then turn right, and you’re at the Michelin-starred Clock House restaurant (see my review here). Turn left and you’re at Nest gift shop and cafe. 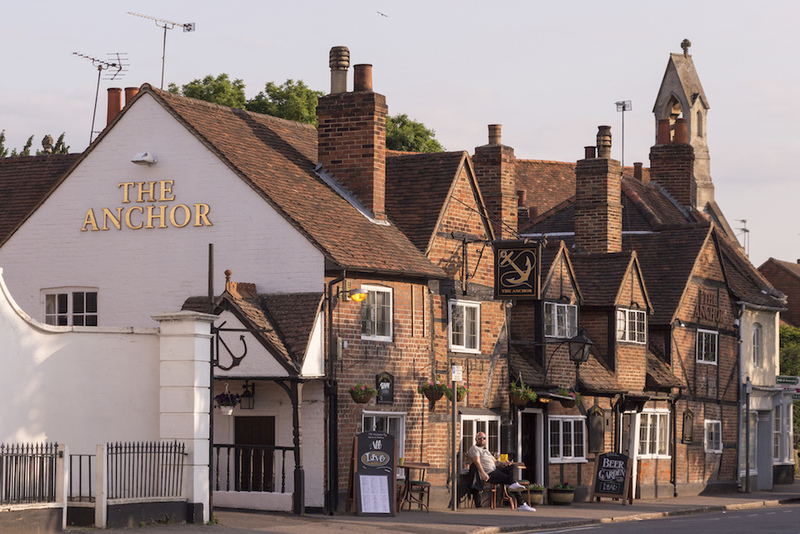 A little further along the High Street past The Clock House and across the road is the award-winning and Bib Gourmand-awarded Anchor pub. You’ll also find one of the best shops for fine wine here, Cellar Wines, which holds regular wine tasting events – and on the second Saturday of each month (from 9am-1pm) there’s thriving farmers’ market selling locally produced vegetables, wine, gin, cheese, meat and artisan bread. Broadway Barn is undoubtedly one of the loveliest B&Bs I’ve ever stayed in. When owner Mindi McLean brought the property six and a half years ago it was derelict. But she spent two years restoring the cottages and barn – and it’s clear it’s been a labour of love. Everything has been done to the highest spec, including the to-die-for chef’s kitchen which I was lucky enough to have a sneaky peak at. Mindi has also added a long and light conservatory, with a mirrored wall at one end and glass terrace doors that overlook the walled garden, where she serves the breakfasts. There are four en-suite rooms in the main house, plus a villa which sleeps up to six guests in three en-suite rooms, and a one-bedroom cottage. 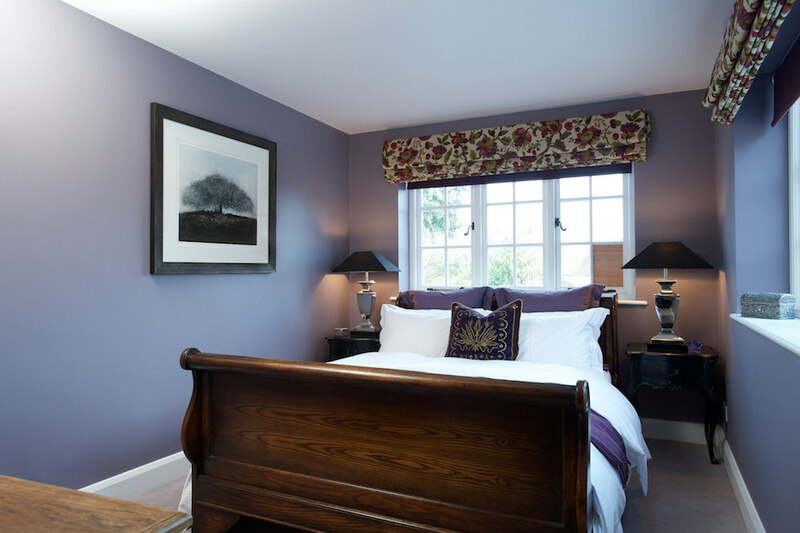 Each room has been individually decorated in heritage colours, with sumptuous fabric curtain and blinds, beautiful eclectic antique furniture and a carefully curated art collection. 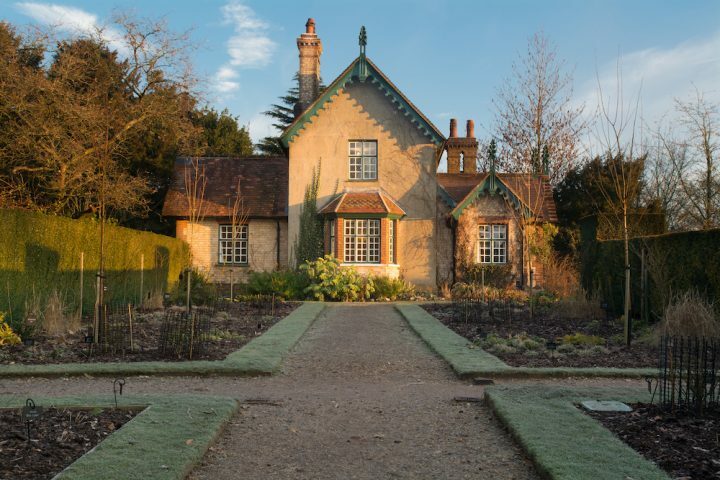 Mindi also owns two other cottages in the village: numbers 7 and 9 Rose Lane, two interconnecting 500 year-old Grade II listed cottages which share a garden chosen recently for exhibition in the National Garden Scheme. I came recently for a girlie break with one of my besties, and we stayed in two rooms just down the hall from each other on the first floor of the main house. I arrived a little earlier than my mate, which meant I could make full use of that stunning roll top bathtub. Downstairs, the living room was ablaze with a roaring log fire, and if we hadn’t already booked a table for dinner at The Anchor, I think we’d have happily curled up on the oversized sofa in front of the fire with our wine. Mindi is a self-confessed foodie – and the breakfasts here are gorgeous. Mindi makes everything from scratch, including a choice of homemade breads, a dried fruit compote, granola and homemade jams. Mindi loves to combine her love of gardening and cooking, and grows all of her own fruits and vegetables. Even the pork in the chipolata sausages comes from her own pigs which a bred and reared locally. 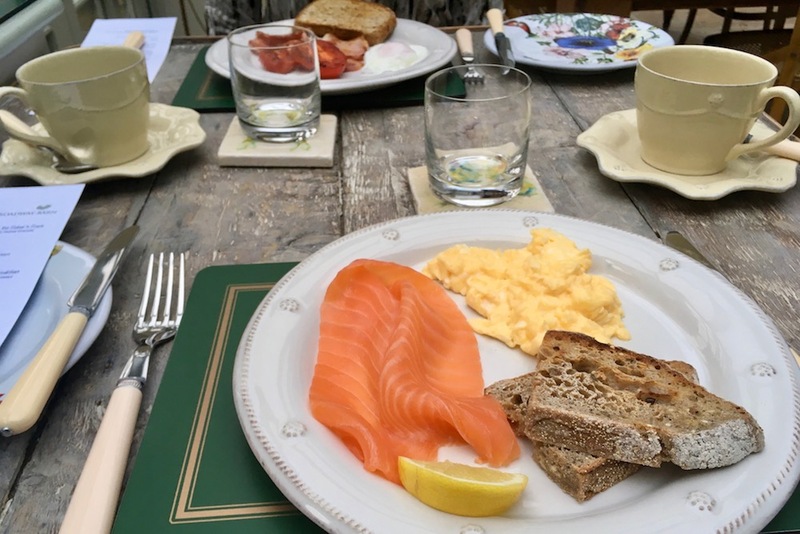 For breaky, I went for the scrambled eggs with a side of smoked salmon and the sourdough bread. My friend went for a poached egg with bacon and grilled tomatoes and a side of homemade gluten-free bread. It truly was great. If you’re a gluten-intolerant, you’ll want to come here just for the bread alone!! Needless to say the expensively appointed bedrooms are a cut above bog-standard B&B rooms. In fact, my room was so chic and cosseting I was tempted to claim squatters’ rights and never go home. We’re talking luxurious Egyptian cotton bedding, fluffy robes and slippers. You can, of course, tell a lot about a hotel by its attention to detail and even my superlative nit-picking skills came unstuck here. 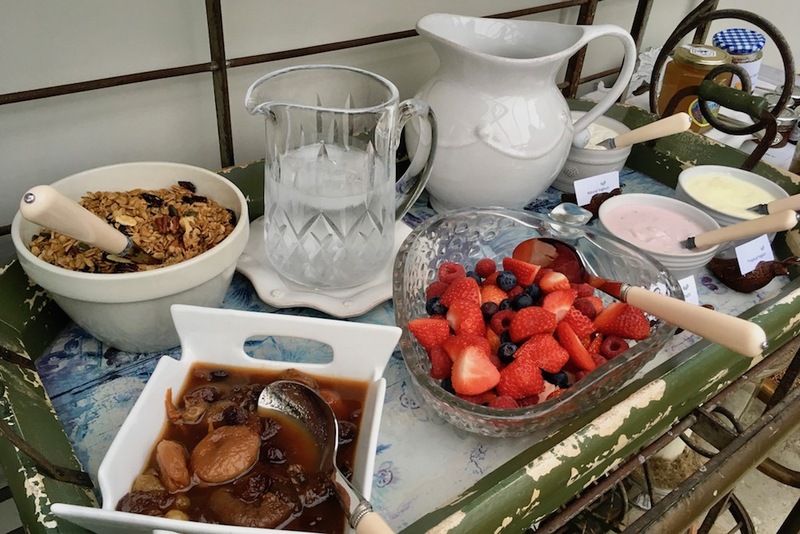 I loved all the little touches – proper, chilled milk for your cuppa, homemade shortbread, chocolates, excellent wi-fi and bubble bath for that roll-top bath. Children are welcome. And, yes, you could bring the kids, but I’d book one of the self-catering cottages. 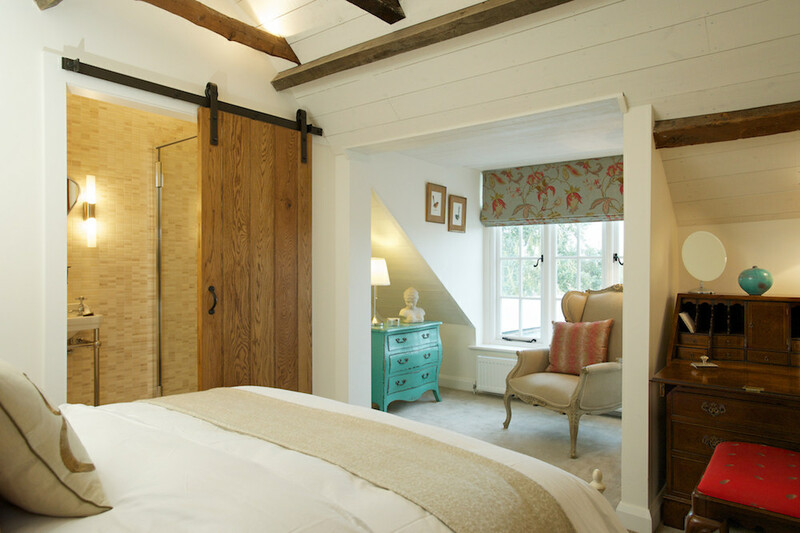 The barn’s en-suite rooms, whilst well-sized, are not family rooms. 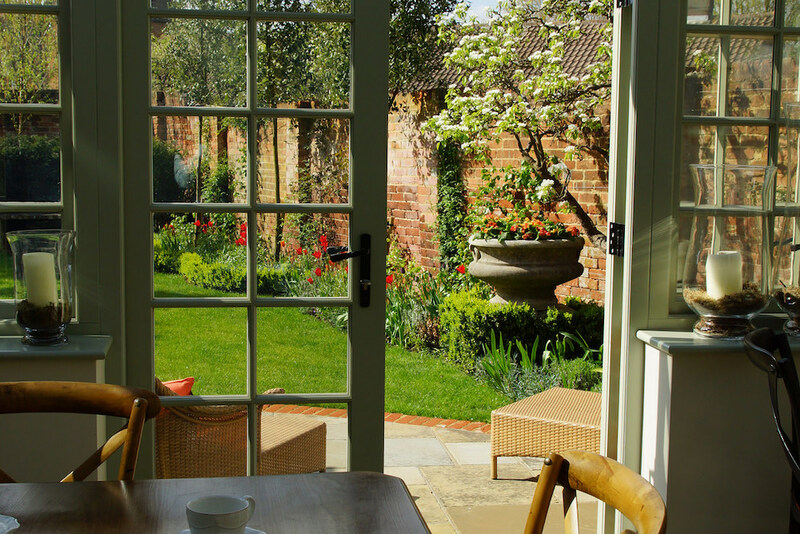 The Rose Lane cottages are also dog-friendly – so if you’ve a well-behaved pooch, they’re welcome too. Villages don’t come much more chocolate box-gorgeous than Ripley – it’s like someone has applied a giant Instagram filter called ‘Quaint’ over the entire place. 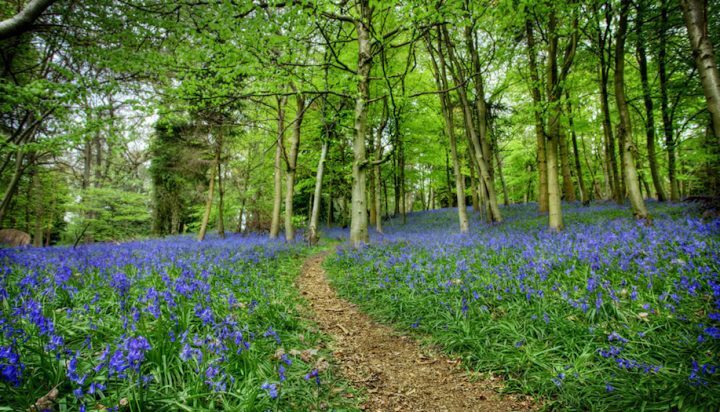 RHS Wisley Gardens is a five minute drive from here, and a little further along the A3 is Painshill. A cluster of National Trust properties are within easy reach, and Mercedez-Benz World and Brooklands Museum are only six miles away. Good for: Romantic tryst, girly breaks, relaxing get-aways. 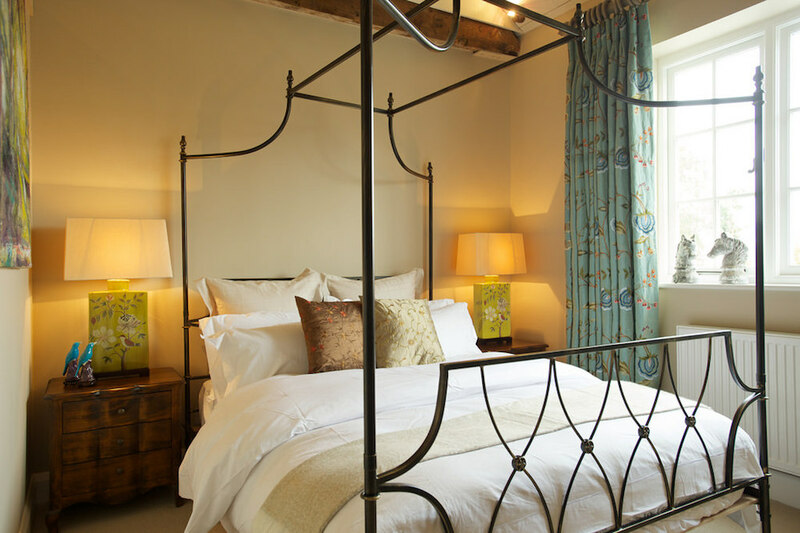 If you’re celebrating a special birthday or anniversary, combine a stay at Broadway Barn with dinner at The Clock House or The Anchor. Not for: Those craving bright lights and big-city thrills may find Ripley a tad serene. But to be honest, that’s the whole point – you come here for utterly luxe R&R. 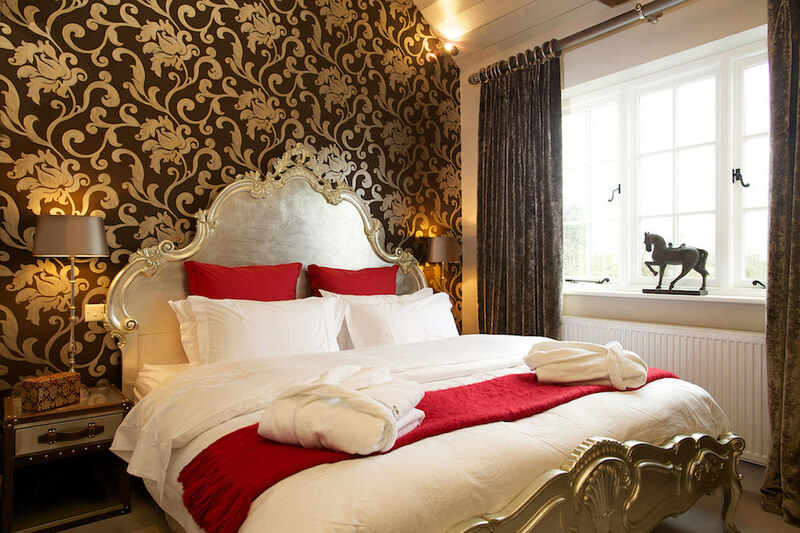 The damage: Bed and breakfast – including that amazing breaky – is from £110 a night.